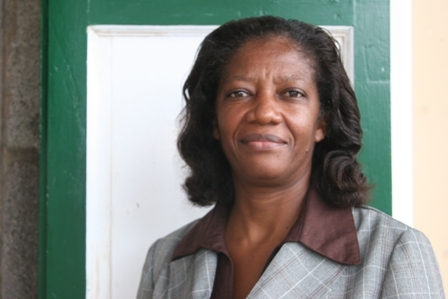 NIA-CHARLESTOWN NEVIS (July 28, 2011) — Plans are well on the way for the annual Christina Memorial Service in observance of the 41st anniversary of M.V. Christina Disaster on Monday August 01, 2011. The event hosted by the Nevis Island Administration (NIA) will be held this year at a new memorial erected at the site of a mass grave at the Bath Cemetery in Bath Plain from 4pm. The disaster which has been described as the single most impactful incident in the maritime history of St. Kitts and Nevis, claimed the lives of 233 persons predominantly Nevisians when the ferry sank on a journey from Basseterre to Charlestown on August 1st 1970. Ninety passengers survived the ordeal, some are still alive today. According to Permanent Secretary in the Premier’s Ministry Ms. Angelica Elliott, this year’s venue was chosen because of the memorial being erected at the grave where 13 persons on the ill fated Christina Voyage were buried. The project was undertaken by a group of civic minded persons with major assistance from the Nevis Island Administration (NIA) while other help came from the private sector and members of the public. 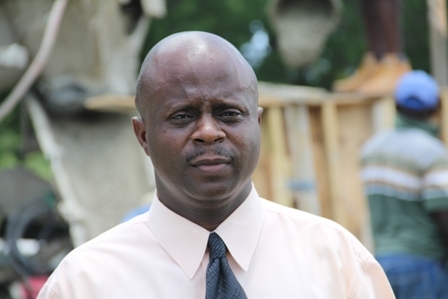 In an earlier interview with the Department of Information, Assistant Secretary in the Ministry of Communications and Works and spokesman for the civic minded advocacy group Mr. Wakely Daniel, he indicated that the Ministry had facilitated construction of the memorial through Hendrickson’s Construction Services. He also explained the circumstances which gave rise to the project. “A few months ago an advocacy group made up of M s. Thelma Hunkins, Ms. Marilyn Liburd and the Speaker of the House Mrs. Marjorie Morton along with a few others came to the Ministry of Communication and Works and they spoke to the Minister Hon. Robelto Hector. He convened a meeting and we came together as a group and decided to construct this monument here. “The reason why we chose this area is because it was brought to our attention that what we have here is a mass grave site where about 13 persons were buried. We decided we needed to do something in their honour. There was a grave here but it wasn’t anything that most persons in Nevis would have known about. I am certain that most persons still are unaware that we have a grave here of those persons who were buried from the Christina Disaster,” he said. According to Mr. Daniel, the group then turned to the public for assistance with the project which was forthcoming in cash and kind. 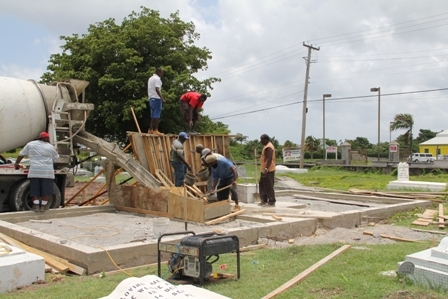 The monument which was under construction up to Thursday was slated for completion ahead of August 1st, a day Mr. Daniel regarded as a pivotal day in Nevis’ history. “It is the date on which the Christina Disaster took place and it is a date on which we often commemorate the sinking of the Christina and this year we are hoping that this commemoration will take place here. “So our goal is to have it finished by August 1st. The Hendrickson Construction has assured us that it would be definitely done and ready for that date,” he said.